Melissa Scholes Young’s debut novel, Flood, has been called a story of “home, hope, and the ties that bind.” From a rural upbringing in Hannibal, Missouri, to teaching College Writing and Creative Writing at American University, her writing has appeared in the Atlantic, Washington Post, Narrative, Ploughshares, Poets & Writers and other journals. Stay Thirsty Magazine visited with her in Washington, D.C., for these Five Questions about her book, Mark Twain and her hometown. STAY THIRSTY: In your debut novel, Flood, the Mississippi River plays an important role in the lives of your characters that live in Hannibal, Missouri. Why did you choose to set your first work of fiction there and what does that river and that town mean to you? 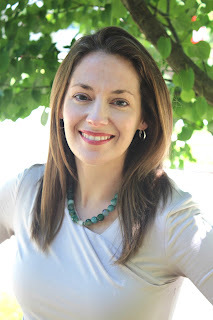 MELISSA SCHOLES YOUNG: I was born and raised in Hannibal with Mark Twain’s stories and history all around me. It’s familiar territory and yet because I no longer live there, I’ve wondered how a character like Laura Brooks may return. While I was researching I also learned that the Mississippi River ran backwards in 1812 due to a series of earthquakes along the New Madrid fault. Both Laura and the river must recalibrate to right themselves. When you grow up in a flood plain, as I did in Hannibal, water is your life force and a constant threat. You’re always looking for a way out. Mark Twain’s pen name refers to safe passage. It’s riverboat language to measure (mark) two fathoms (twain) of depth. To me, a place like Hannibal has such literary depth to mine and such rich culture to explore. STAY THIRSTY: Returning home after losing a job seems to be a common part of the millennial experience and your protagonist does just that. What is it that attracted you to that storyline and how did your own experience play a factor in the construction of your story? 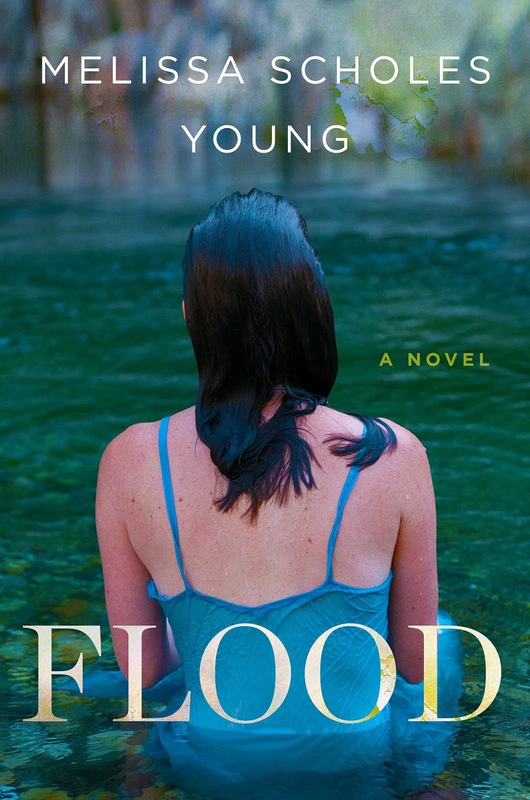 MELISSA SCHOLES YOUNG: Flood is a novel about identity and how we construct who we are. I’ve found that the stories we tell ourselves are often not completely true or as Mark Twain claims, we “tell the truth, mainly.” Laura Brooks thought life would be different. She assumed those that stay in their hometowns don’t have other choices. What she learns from her return journey is that many choose to dig in, to invest their futures in their community, and that there isn’t such a stark or clear answer to whether you should stay or go. You take a piece of place with you and maybe you leave some of yourself behind. We are choosing who we are again and again. There’s freedom to that but also it can be unstable, like the ground beneath us and a river you can’t control. Laura retraces and explores her own history by returning and in doing so, she learns more about her family, her town, and herself. STAY THIRSTY: Animals have a consistent supporting role in your book. What is it about animals that make them important to your characters? MELISSA SCHOLES YOUNG: Animals are ever present in rural culture. I grew up in the country with dogs on every property and chickens in most backyards. We are proud, self-sufficient people and animals help us survive. You take care of them and they take care of you by protecting property and providing food. I don’t ever want to come home without a dog at my door and I want my characters to have the same. It’s also about how we write the landscape of a scene, I suppose. When I’m layering dialogue with gesture or scene with sensory details, there is usually an animal barking, clucking, or mooing in the background. It’s comforting to me and I hope companionship for my characters. Also, I trust dogs more than I trust most people. Mark Twain famously said, “Of all the animals, man is the only one that is cruel. He is the only one that inflicts pain for the pleasure of doing it.” I’ve seen animals defend themselves plenty but I trust the animals in my scenes to often behave better than the humans. STAY THIRSTY: Your themes in the book include the need for adventure, the complicated ties people have with their hometowns and their parents, a need to breakaway and find one’s own identity and an emotional yearning for a more fulfilled life. Did the characters in Flood find you and express their own ambitions and failings or did you create the storyline along the lines of these themes and develop the characters that would best exemplify them? MELISSA SCHOLES YOUNG: That is such a thoughtful question. I always begin with characters. Flood started as the story of a female friendship. I wrote the scenes with Laura and Rose first. I grew up with these statues of Tom and Huck all around me, but I wanted to know how their relationship would have been similar or different as girls. Once I decided that Rose would be a teen mother I knew that her son, Bobby, was the parallel story to their “then vs. now” and the story map emerged. “Emerged” makes it sound magical. It wasn’t. It was work. It took me five years to write. It was a lot of drafts and revisions to weave so many themes and write the book within a book that also tells Samuel Clemens’ own exodus story. Tough, but I think worthy work. STAY THIRSTY: The idea of a flood, not only driven by water, but also driven by memories, speaks to a chaotic circumstance that breaks the boundaries of containment. In your own life, how have you dealt with the journey of a rural upbringing that stretched from Hannibal, Missouri to teaching College Writing and Creative Writing at American University in Washington, D.C.? When you look back in time, what memories flood you? MELISSA SCHOLES YOUNG: Memories of family flood me, mostly. Hannibal was a lovely place to grow up. I have 27 first cousins on my mother’s side and plenty more on my dad’s. There was always someone to help and a huge family that took care of each other. My roots run deep and I’m grateful for them every day, but I’m rarely settled. I’ve moved dozens of times since I left Hannibal when I was seventeen years old. I’m more comfortable in motion, observing, adventuring, and questioning. Becoming a mother split open my creativity but grounded me for the first time. As an urban dweller now I spend a lot of time trying to explain rural America to my colleagues and friends. There are many misconceptions that make the rural urban divide unnecessarily complicated. As a first-generation college student, I’m similarly unmoored, especially in academia where my experience is so very different than many of my colleagues. First-generation students and faculty make our campuses more diverse and are great assets in our community. My journey has made me hungrier for even more. I’m always curious. I think we need to read more, listen more, and talk to those exactly like us a lot less. We need to stay in conversations that stretch us rather than retreat to comfortable containment.